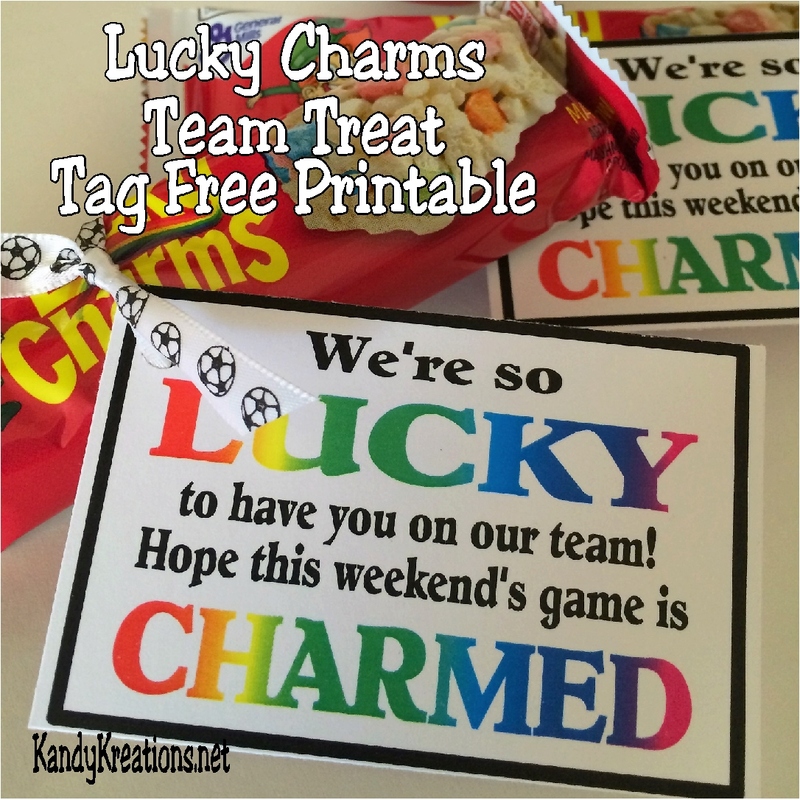 Celebrate your team and wish them good luck on their next game with this free tag printable. Using a Lucky Charms breakfast bar, simple tie the Lucky Charms tag for a simply yet delicious way to wish your team some magical charm this weekend. It's been another fun week with the soccer team as we prepare for our first regular season game this weekend. (Last weekend was a tournament and not regular season.) I'm pretty excited for the game. I guess being the Team Manger has me a little more invested in the team, and not just my own son. I love getting to know the boys a little bit better and seeing how they improve through the years. Since it is so close to St Patrick's day, I decided to go with a lucky rainbow theme for the boys' treat this week. 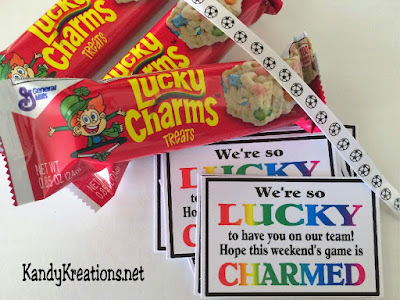 My son gobbles down the Lucky Charms breakfast bars like there's no tomorrow, so I have a feeling the boys will love these fun treats. 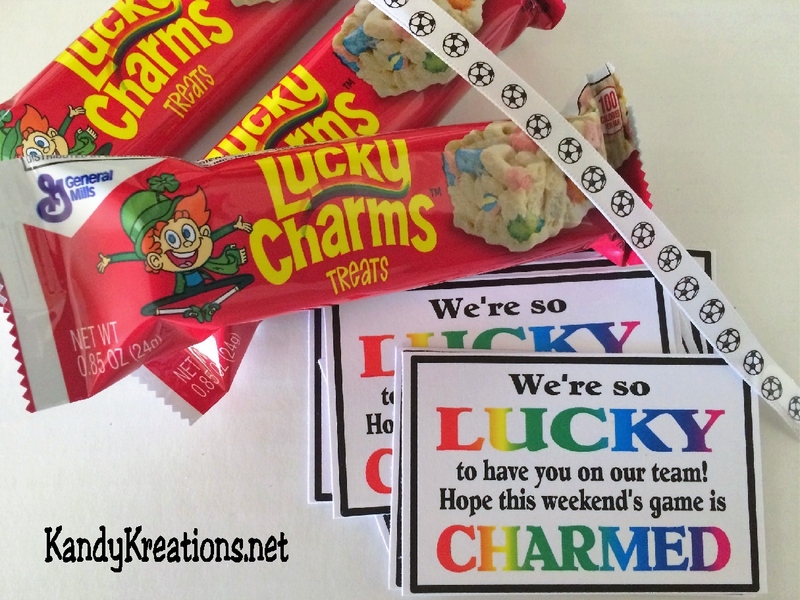 These treats are simply the Lucky Charms breakfast bars (found in the cereal aisle at Walmart), a piece of thin soccer ball ribbon (craft area at Walmart), and the free printable from the bottom of the page. I printed the free tag printables on to card stock and cut them out. Then I tied the ribbon around the bar and added the Lucky Charm printable with a simple knot. 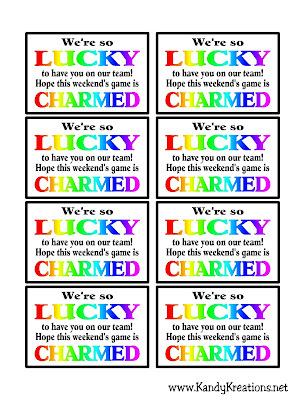 If you want to try your own Lucky team treats, simply right click and save the printable below. If you want to try a different treat, you can check out our Tootsie Roll treat here. 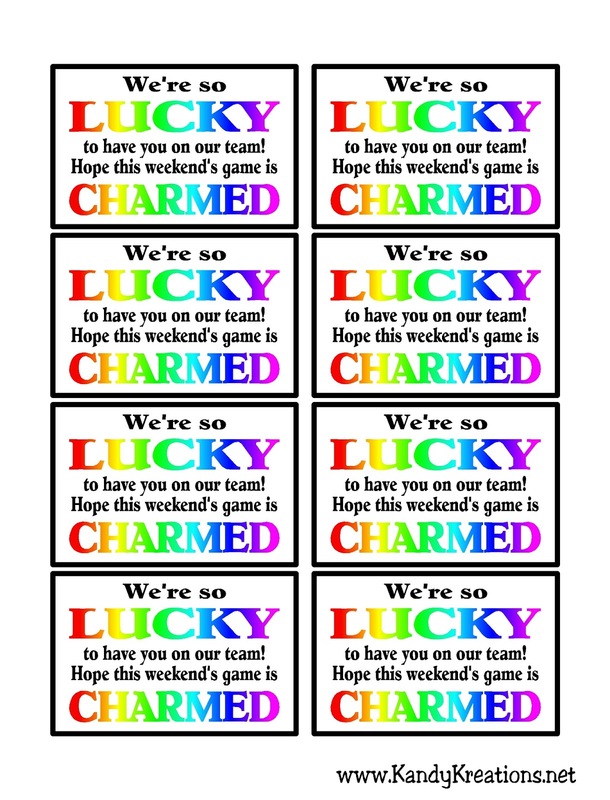 Or you can even check out my Team Mom printerest boards for lots of fun ideas.